This sideboard is finely constructed with highly figured mahogany and line inlays of satinwood and ebony. 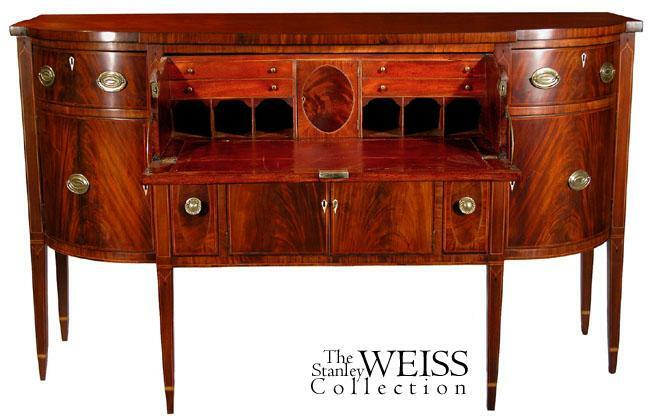 It has everything one would expect in a sideboard including bottle drawers, and the largest writing desk we have seen in a sideboard. 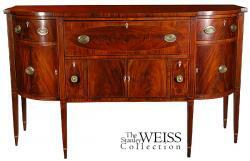 We have, on our site, another sideboard of this type and it has a much smaller, typical, writing arranging. Of note is the complex construction of the edges of the entire piece, including the top, which are edged with actual ebonized wood. 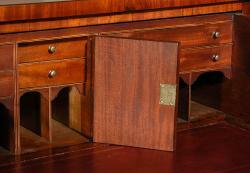 Around doors and drawers, there is a complex mosaic of ebony, satinwood, and rosewood (see detail). 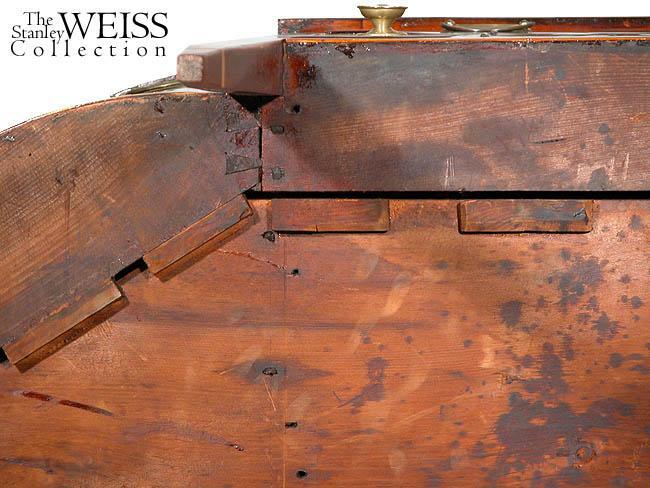 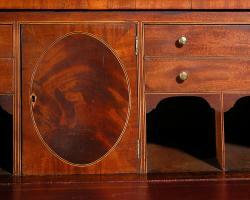 Also, note the prospect door and the drawers inside, all of which are edged in satinwood and ebony (see details). 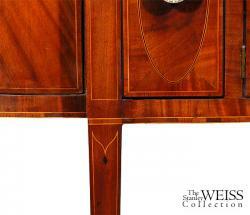 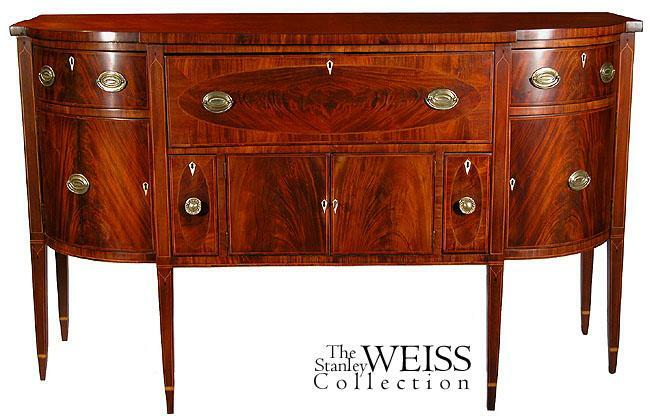 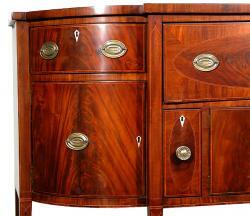 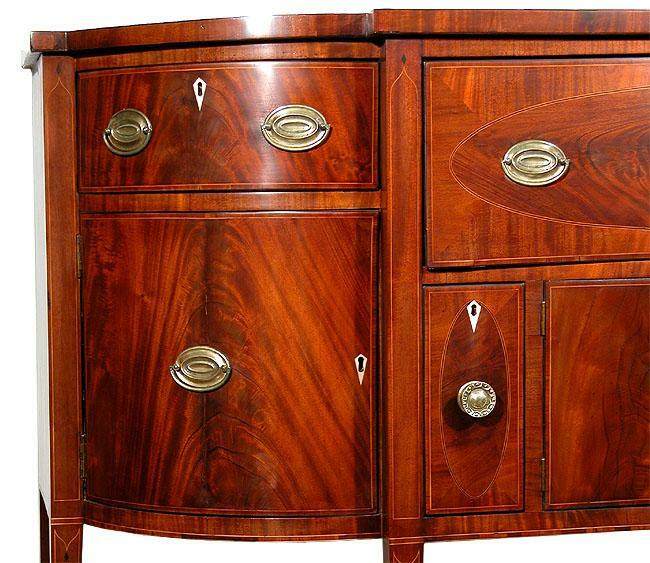 Nothing was spared in this sideboard, from the ivory escutcheons, to inlays. 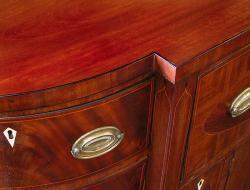 But, all is executed in a very tasteful and restrained way. 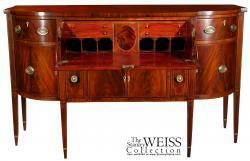 This sideboard retains its original oval brasses and is in fine original condition. Height: 41 1/4 in. 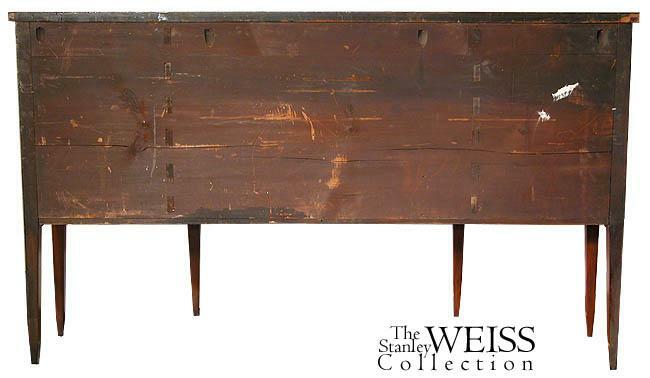 Width: 69 in. 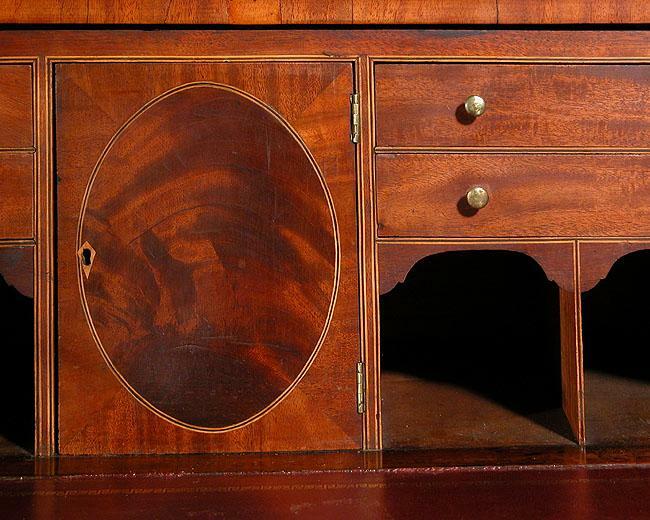 Depth: 26 1/4 in.